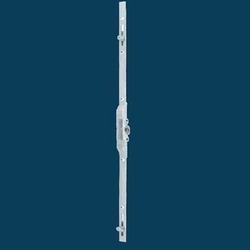 Providing you the best range of casement door espag bracket, espag sliding back set, upvc casement door assembly, sliding window espag bracket with zinc lock point, u rail espag and upvc sliding window espag backset with effective & timely delivery. We are one of the well-known manufacturers and suppliers of Casement Door Espag Bracket. 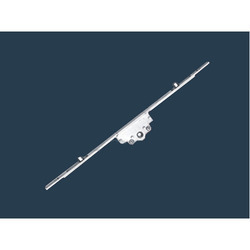 The offered casement door espag bracket is a locking device, which is specially designed for the casement doors. 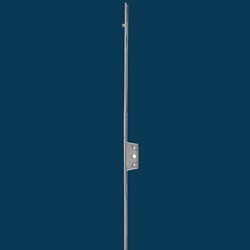 Our supplied casement door espag bracket can be vertically mounted for facilitating the locking operation. 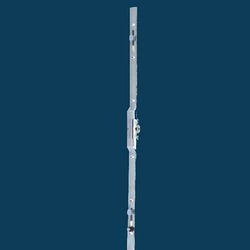 The offered casement door espag bracket is very reasonably priced. 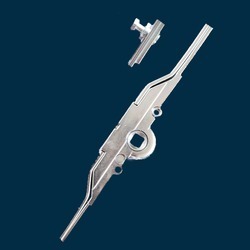 We are one of the widely acclaimed manufacturers and suppliers of Espag Sliding Back set. The offered espag sliding backset is available in multiple variants of thicknesses. 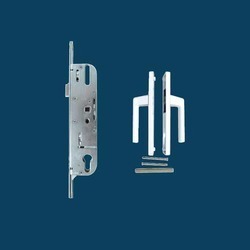 Our supplied espag sliding backset is highly acclaimed and appreciated by the clients, due to the hard wearing construct and longer serviceability. The offered espag sliding backset is very affordable and cost effective in price. 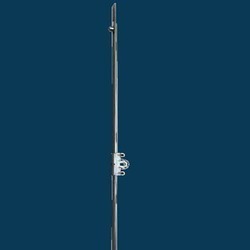 Looking for Espagnolette, UPVC Transmission Rod ?